THE work of the League of Friends of Bexhill Hospital has been sustained from the outset entirely by voluntary help. Many of our supporters have given many years of valued and faithful service. But nobody can continue for ever. The League is constantly seeking newcomers to take the place of those who have found it necessary to take a back seat. There are many avenues for the public to demonstrate their practical support. 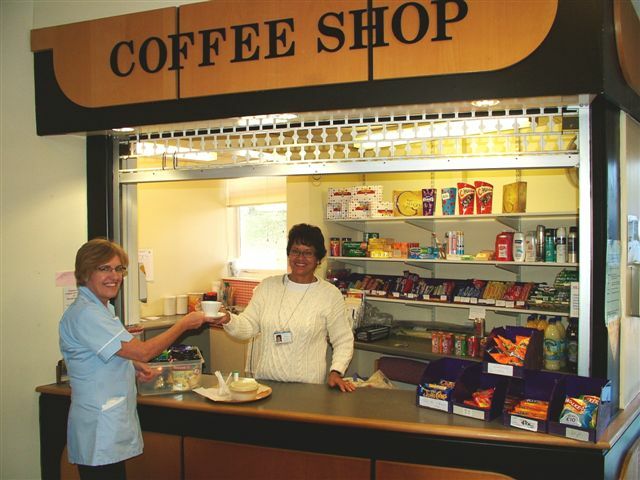 The League operates coffee shops in both the Outpatients' Department and the Irvine Unit. Both are dependent popular with patients, visitors and staff. Both are run on a rota of volunteers. Each year, the League offers refreshments to patients attending autumn 'flu clinics at GP surgeries. The gesture is a boon to patients and a means for the charity to publicise its work. The June Garden Party in the hospital grounds is far more than just a fund-raising event. It is the annual showcase for the work of the League. There is a constant need to find volunteers to run stalls and side-shows.